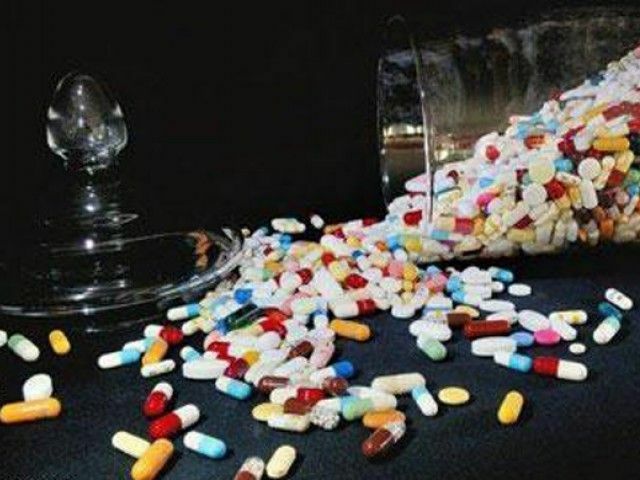 ISLAMABAD: The Drug Regulatory Authority of Pakistan on Sunday raided a pharmaceutical distributor company and two other pharmacies for selling spurious and overpriced drugs. The raids were conducted under the supervision of DRAP Quality Control Chairman Dr Abdul Rasheed, and led by drug controller Umair Majeed and the Rawalpindi drug inspector. A case was registered against New Akbar Pharmacy in Faizabad area of Rawalpindi for overcharging for drugs, a violation of sections 23, 27 and 30 of the Drug Act, 1976. The said pharmacy was found to be charging Rs80 more than the approved price for certain drugs, which were seized by the authorities. A similar case for overpricing was registered against Dr Raza Pharma, Peshawar. On Sunday, a pharmaceutical distributor, Global Pharmaceuticals, was also raided by DRAP. As many as 33 packets of unregistered Tamsol-D tablets were seized. According to a press release by the Ministry of Health Services, Regulation and Coordination, even though the firm was granted registration on September 11, 2012, it was later taken back after it was identified that the tablet’s formula did not exist both internationally and locally. However, during the 29th meeting of the Drug Registration Board on September 12, 2013, it was decided that the manufacturer should appear before the Registration Board and present his opinion regarding the efficacy of the drug formulation. The board further ordered that till the final decision, registration of Tamsol-D tablets will remain suspended under Section 7 (11) (A) of Drug Act, 1976. According to Rasheed, the regulatory authority is committed to protecting and safeguarding the consumers of medicines. “DRAP will not spare any licencing unit, distributor or retail pharmacy that is involved in manufacturing, distribution or sale of unregistered, counterfeit, misbranded, overpriced drugs including medicated cosmetics, herbal and homeopathic medicines, medicated devices, milk and baby products,” Rasheed said. Published in The Express Tribune, November 30th, 2015.